Depressed after an ugly winter? You feel an urgent need of going on holidays, you gladly notice that you have still got a bit of money in the bank. One only issue: you’ve travelled so much, you don’t know where could you go? 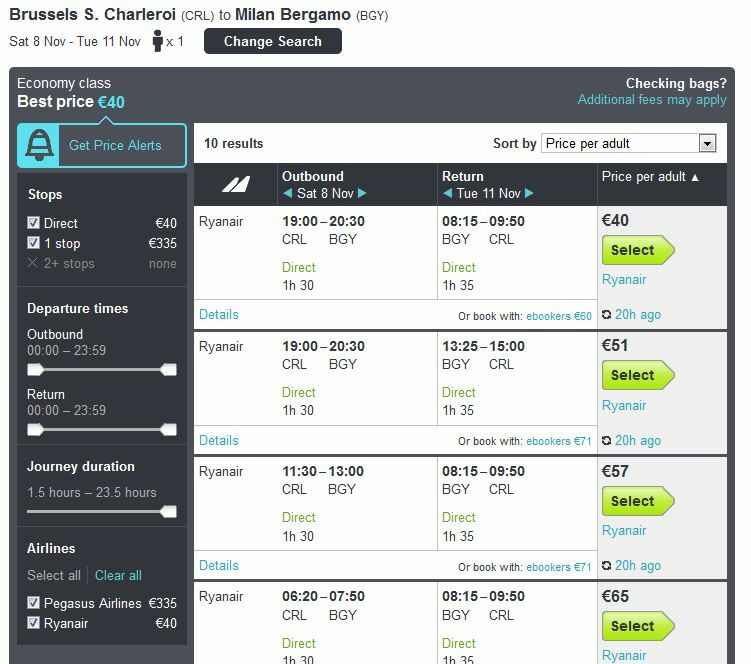 If you’ve never heard about Skyscanner, this is the perfect time to try it out! Screen 1: Fill in your departure point (this should be easy! ), your preferred departure and return dates and the number of people travelling. Leave to “To” field empty, don’t worry nothing will explode! 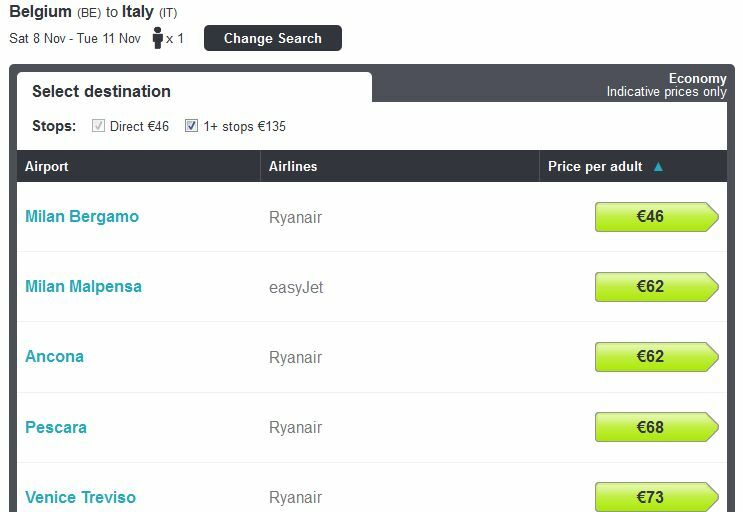 Click on Search and let Skyscanner surprise you! Screen 2: Poland? Norway? Greece? You’re spoiled for choice! The results are displayed from the cheapest to the most expensive destinations. Interested in a bit of dolce vita in Italy? Click on the price! Screen 3: Shopping in Milan? Kissing in Venice? Just pick up the most inspiring destination! 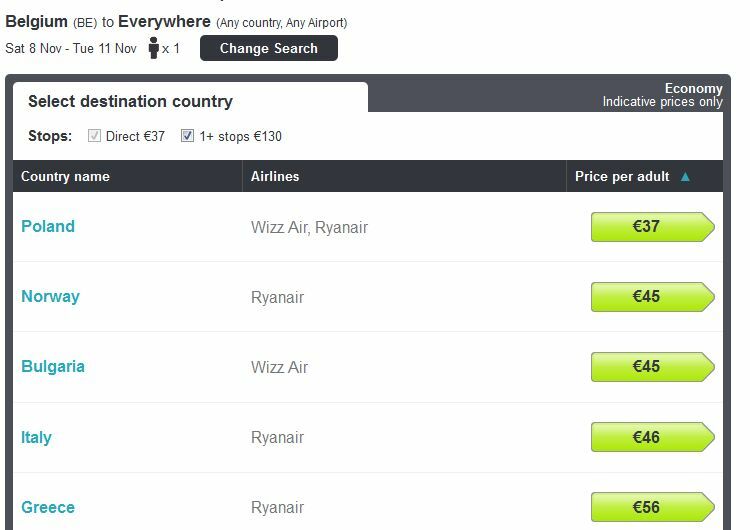 Make sure to book by clicking on these links as Skyscanner has often negociated some discounts with websites and airlines. Looking for a hotel too? 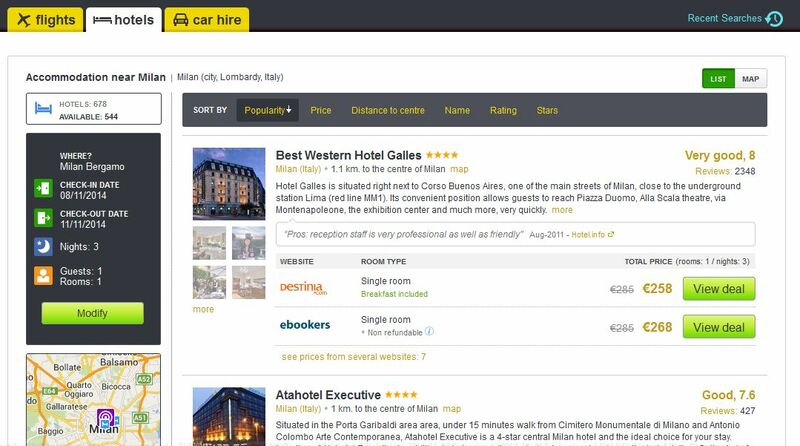 Click on the Hotel tab (upper left corner) and results will automatically be displayed according to the flights you have just looked for. You’re good to go! Enjoy!